If you’ve researched, claimed, and updated your online business listings, you’ve taken a huge step toward engaging with potential customers. But even if your store hours, contact information, and menu are up to date, you can still do more to entice readers and educate them about the value of your business. If your business delivers to or provides services in a limited area, make sure to include this in your listings to avoid frustrating potential customers who are outside your zone. Are you excited about a new product, service, or short-term offer? Chances are, your online readers will be, too. Adding specials and promotions to your listings can help you get additional customers in the door with minimal effort. “A picture speaks a thousand words”—it may be a cliché, but it’s true. In today’s visually-oriented world, photos are a powerful way to represent your business and pique viewers’ interest. It might not seem important, but showing that your business is easy to get to may be the deciding factor for a potential customer. If they know they don’t have to hassle with street parking, or that your store is just a block from the nearest bus station, they may be more likely to come to you than one of your less-conveniently-located competitors. A business listing is an important marketing tool, but it’s designed for short-term interaction. Encouraging visitors to connect with you on social media will keep the conversation going. Today’s choosy consumers want as much information as possible before making a purchase decision. The more robust your online listings are, the better chance you’ll have of securing new business. Did you know? 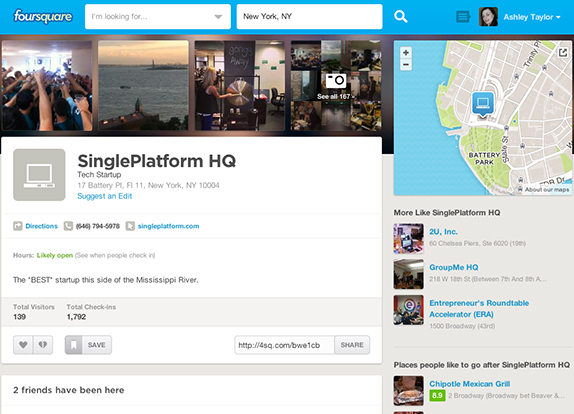 SinglePlatform can help you make all of these listings enhancements with a single update! Learn more.